A Scottish energy company was fined after a worker was seriously scalded at Longannet Power Station in Alloa. 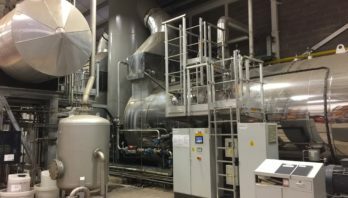 Dunfermline Sheriff Court heard how a plant controller working for ScottishPower Generation Limited (SPGL) was injured when he opened a faulty valve which emitted high pressure, high temperature steam. He sustained serious burns to his chest and legs. An investigation by the Health and Safety Executive (HSE) into the incident which happened on 12 October 2013 found that SPGL were aware of the defect but did not ensure appropriate steps were taken to either repair or remove the valve from use. ScottishPower Generation Limited, of, Atlantic Quay, Robertson Street, Glasgow pleaded guilty to breaching Section 2(1) of the Health and Safety at Work etc Act 1974 and was fined £1.75million.